You mustn’t mess with women especially when they are angry because they might do anything right from bizarre to absurd to back at you! You mustn’t mess with women especially when they are angry because they might do anything right from bizarre to absurd to back at you! And testimony to this, is this novel way a UK woman adopted to get back at her cheating husband. Here is what she did. 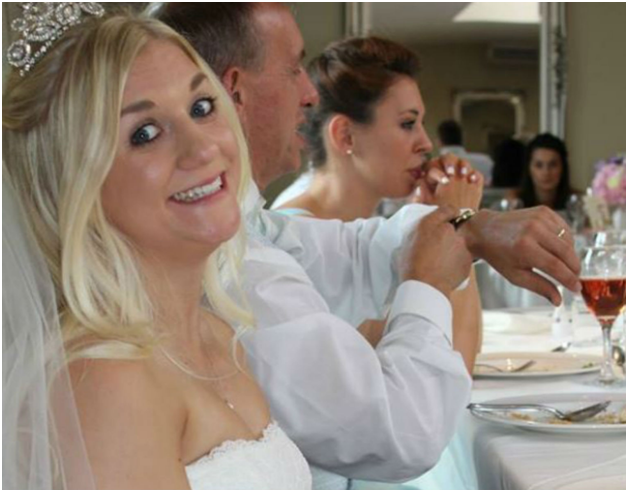 Samantha Wragg, from UK is selling her wedding dress on eBay to pay for her divorce from her "cheating" husband and it might fetch her thousands of pounds. She posted a very dark and sarcastic advertisement on the site. She has received 73 bids and has been offered £65,900, (about $86,000) from buyers, as of Friday. She has left no stone unturned to take jabs at her ex and couldn’t embarrass him more. "Sorry that there are only two pictures but when I found out my husband was living with another woman, I pretty much burned/permanently deleted everything with his disgusting face on it! She takes a sardonic tone while describing the dress which is really beautiful and lacy. 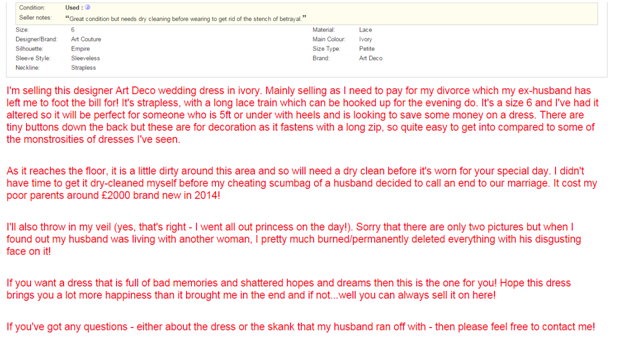 "If you want a dress that is full of bad memories and shattered hopes and dreams then this is the one for you! Hope this dress brings you a lot more happiness than it brought me in the end and if not...well you can always sell it on here!" The dress is described as second hand but with some real wrong reasons, "Great condition but needs dry cleaning before wearing to get rid of the stench of betrayal." After this crazy auction she has suddenly shot to fame so she revealed the truth behind her shocking advertisement after she split with her husband last January. She said: "I had my wedding dress on eBay for two weeks with barely any views so I decided with a little help from my brother (ok it was all his idea!) to make it funny." 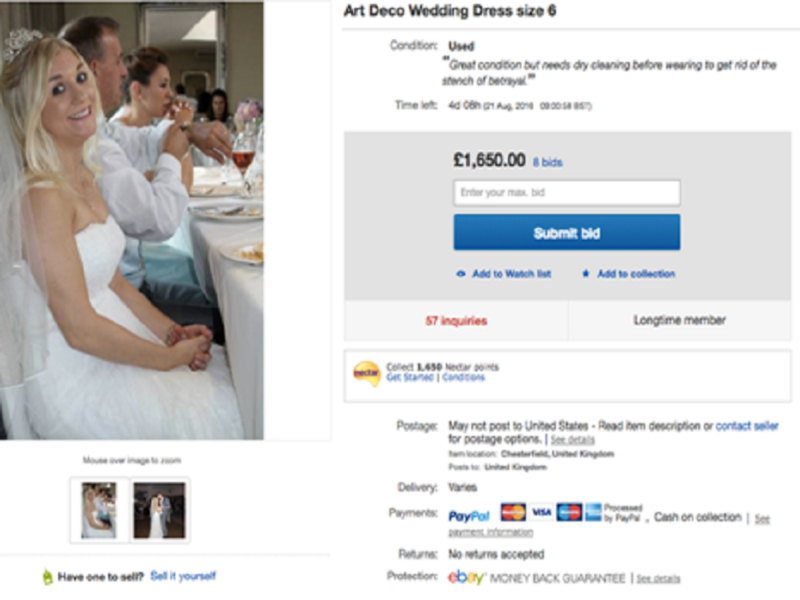 We are unsure whether the dress will sell or outbid its price but we sure had a good laugh!